When you become injured as the result of an accident, you may have the assumption that the insurance company involved that represents the responsible party is going to do its part to make sure you are taken care of. In a perfect world, this would certainly be the case. However, insurance companies are beholden to their stockholders and bottom line and are more concerned with how dollar amounts affect them and not you. You may find they are unresponsive, unhelpful or offer you settlements far below what you need. Wrestling with insurance companies is not something the average person will have luck with, and it is just one of the reasons you want to consider hiring an injury attorney in Long Beach like us at Belal Hamideh Law to represent you. When faced with dilemmas when you deal with insurance companies, too many people just accept what the insurance company first offers as a settlement. The problem is that this offer is often well below a fair offer and may not be nearly enough to cover your medical bills and expenses in the present, let alone any future treatment you may need for the injuries. You want to avoid making a rash decision like this and instead get some sound legal advice from an experienced lawyer. At Belal Hamideh Law, we only handle injury cases and are experts when it comes to standing up to the insurance companies. We will make sure that you get the best settlement possible in your case to cover all of your needs. 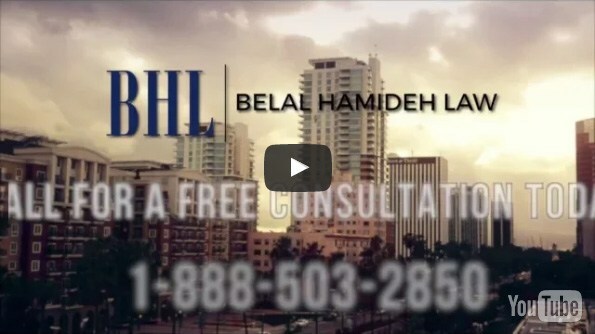 At Belal Hamideh Law, the efforts we make on your behalf as your injury attorney in Long Beach will help to provide you with the peace of mind you need right now. Dealing with the aftermath of an accident, the injuries you suffered, the anxiety you feel and the stress of the situation can be overwhelming to you. We will take the burden off of you and handle all of the important aspects and details of your case, keeping you informed regarding progress until we reach an appropriate settlement conclusion or judgment on your behalf. As your injury attorney in Long Beach, we at Belal Hamideh Law will make sure you get the full benefit of our experience in handling cases such as yours. Take the time to arrange an appointment so we can discuss your case with you by calling us at 888-503-2850. 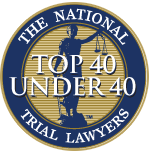 We will provide you with a free consultation so you can talk about your case, learn your options and see how much we can assist you at this difficult time.